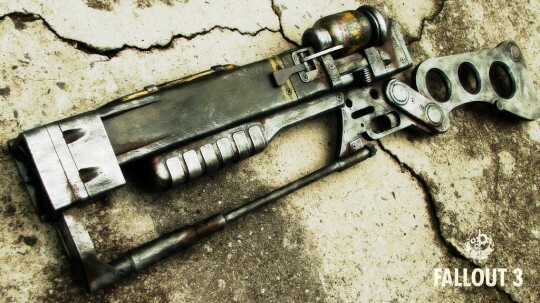 Show me a person who’s played Fallout 3, and I’ll show you someone who won’t be able to resist this AER9 Laser Rifle replica. Heck I’m sure even some of those who haven’t played the game won’t be able to resist this. Just look at it! It’s literally having the same damn thing (except it doesn’t fry people to charred skeletons). This one, along with many other video game-inspired swag, was created by Harrison “Volpin” Krix. More samples of his work and links after the jump.